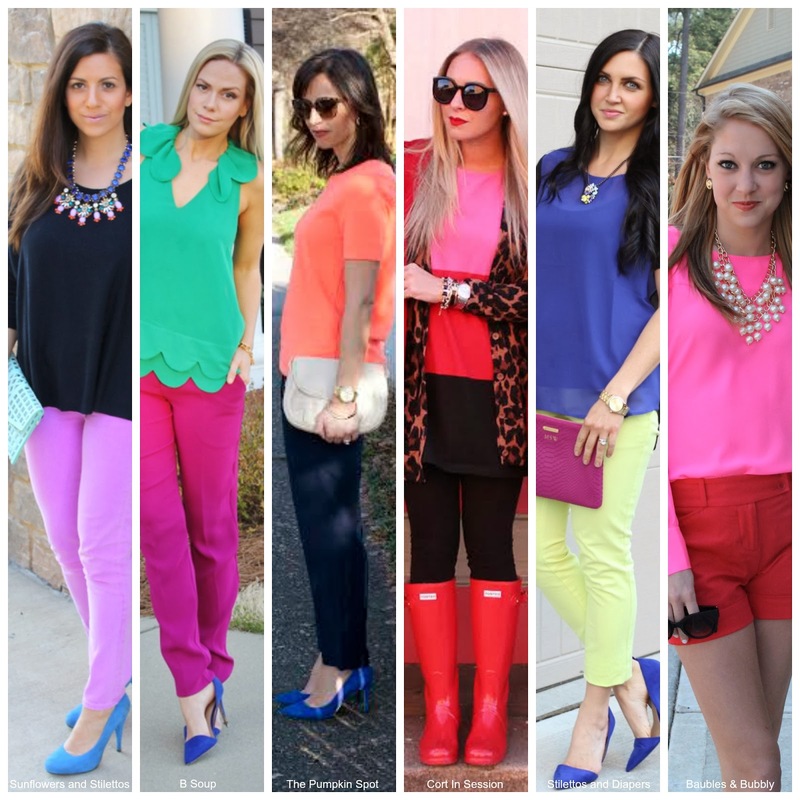 Don't you just love color blocking? I'm a big fan of wearing multiple solid colors in one outfit, so when the lovely Jaime from Sunflowers & Stilettos invited me to join in a local Charlotte Color Blocking Collab, you know I'm down. I don't have a specific strategy when I color block, but I do try and use one shade and incorporate different tones. 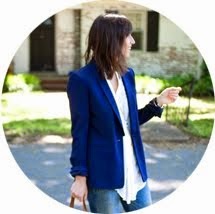 These navy Crepe Drawstring Pants (25% off with code HAPPYSHOPPING until tonight) have become a staple and are so easy to wear with just about everything. The Everly Suede Pump (on sale) in bluebird is a great contrast to the navy pant while at the same time staying in the same color family. 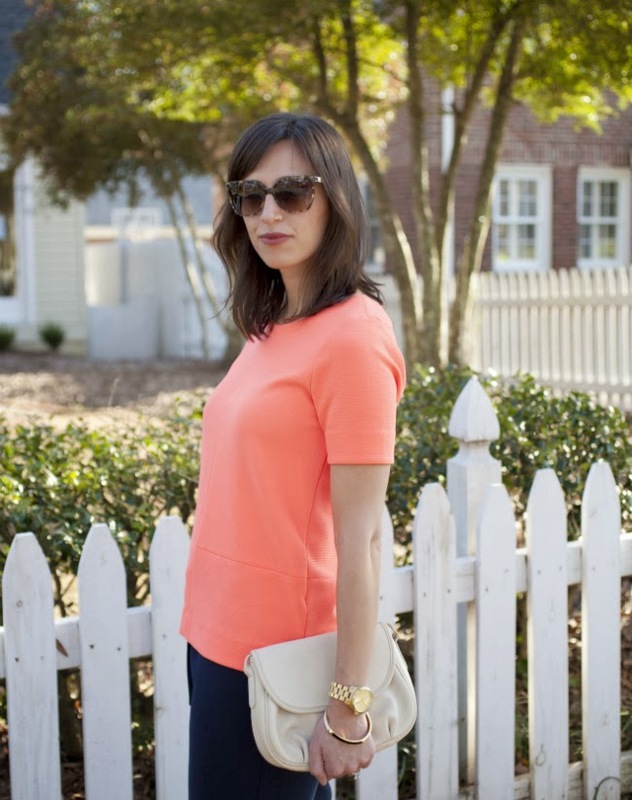 The bright coral/orangey top is from Madewell (old) and adds a nice little punch to the whole look. My earrings are from Teal House Collection and I suggest you go right over there and check it out. 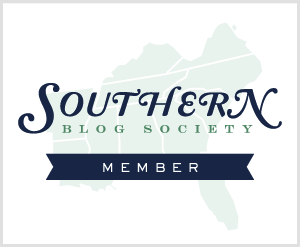 They have a fab collection of really well-priced jewels that are always on trend. I am currently loving these earrings ($26) and this necklace ($34). 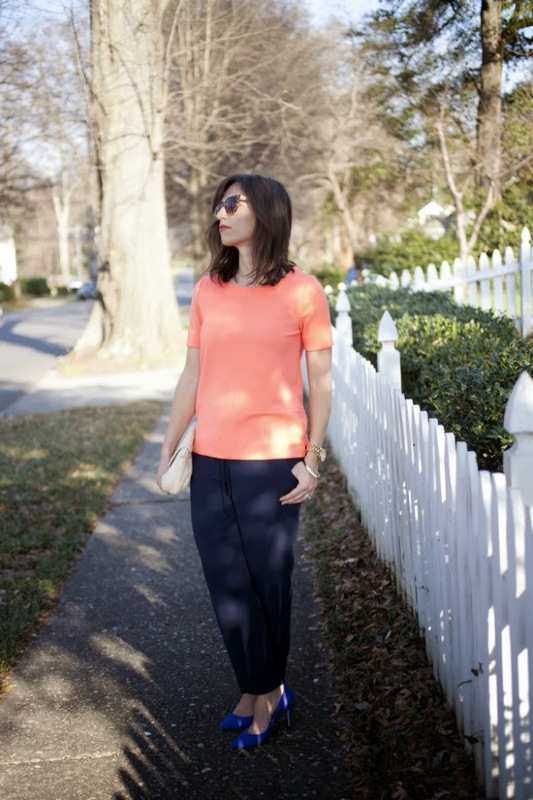 Be sure to check out the other Color Blocked looks and you can shop the post below. Love this! 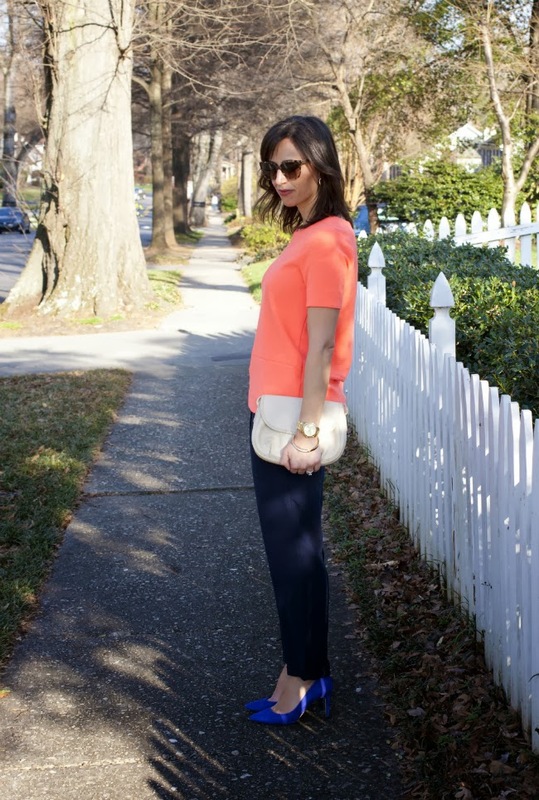 The coral and navy are so good together! That top is amaze! Love the shoes with the pants also! Love it! You look great Becky!!!! I am so in love with coral right now and that top is perfect! 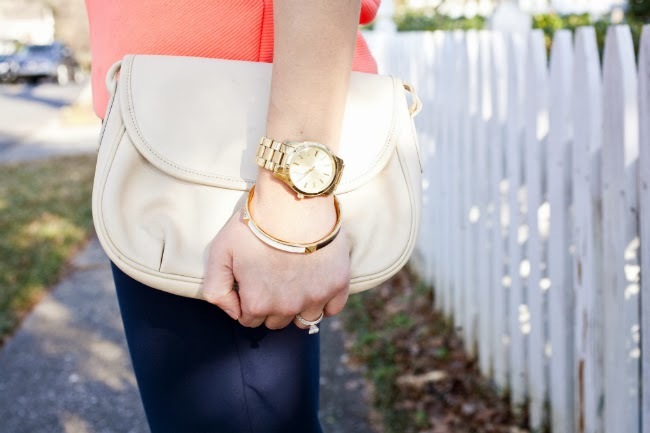 I absolutely love the coral and navy. Two of the main colors in my wardrobe. Just love it. Those pants didn't work for me, but I love them on you! So chic! I love the color combo!